Do you want to take a short walk without losing the immersive experience of Virtual Reality? We offer you Colosseum, Circus Maximus and Capitoline Hill with 3D reconstructions using our viewers. 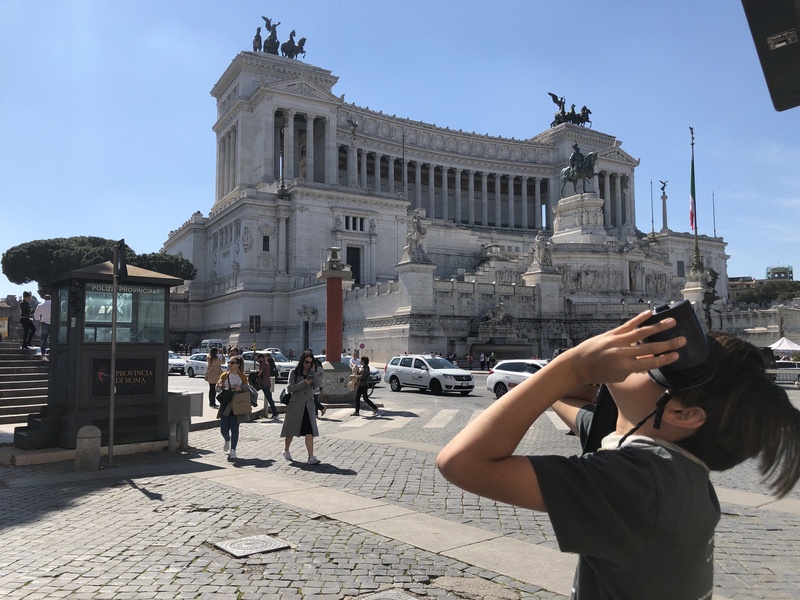 Explore Ancient Rome like never before through interactive 3D reconstruction, complemented by the voice of your guide and a musical background. You will see the most beautiful places as they were over 2000 years ago! Your guide next to you will inform you about everything you will see with the 3D viewer. In the stops of the tour you will see 3D reconstructions of the Colosseum, Circo Massimo and Campidoglio.